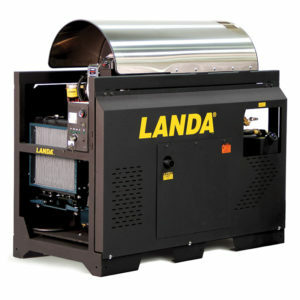 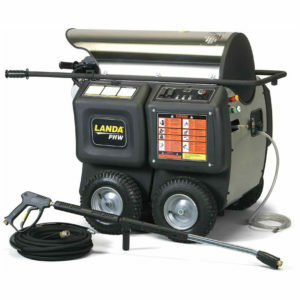 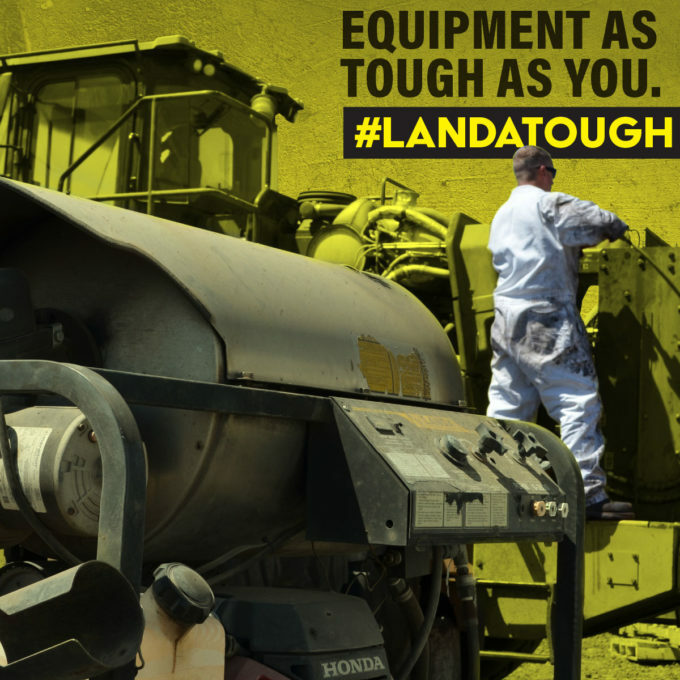 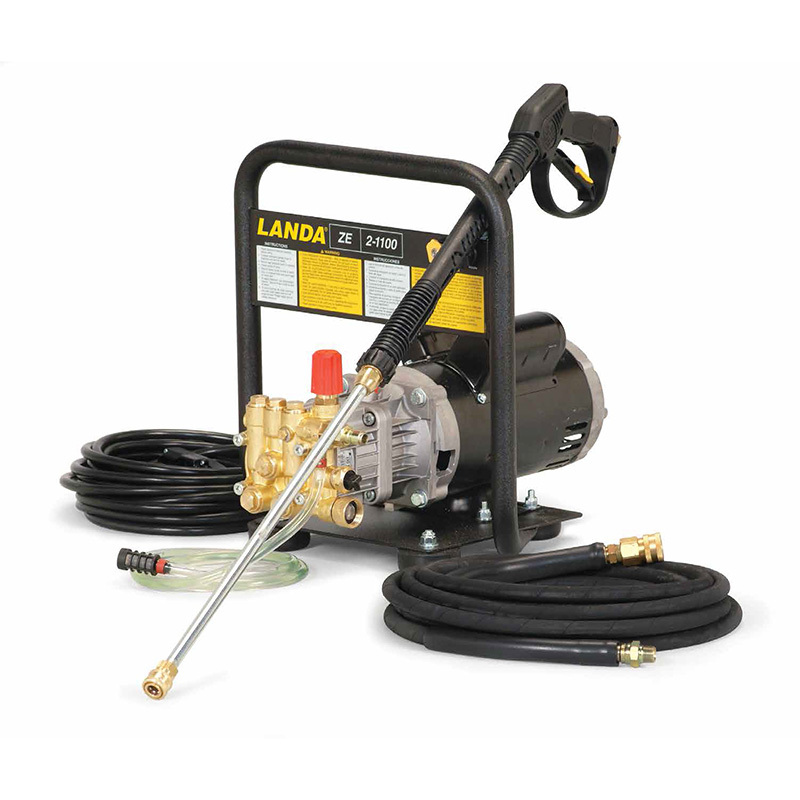 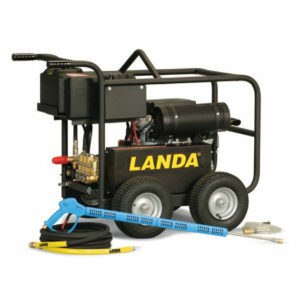 Landa Karcher Group’s light-duty cold water line features the ZE, an economical, handheld pressure washer with a quality motor direct coupled to the pump. 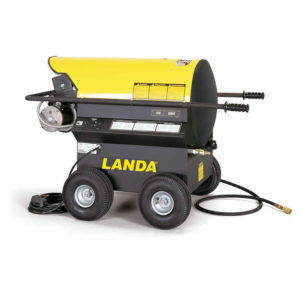 Weighing only 61 lbs., the ZE features a sturdy frame protected by a powder-coated epoxy and designed to make carrying more evenly balanced. The ZE has a 35 ft. electric cord with GFCI, vibration-absorbing rubber pad feet; 25 ft. of wire braid hose; stainless steel wand; and thermal pump protector.